The following books are written by former long-term followers of Prem Rawat's or people who had a reasonable involvement. Glen Whittaker has been one of Rawat's main men in England for most of Rawat's career. His is not a memoire but thinly disguised propaganda protraying a view of Jesus as the Perfect Master Prem Rawat of his day. Pure bunkum and shoddy "research." Mike Finch was another of Rawat main English gentlemen and he and Whitakker probably competed madly for Maharaji's love. 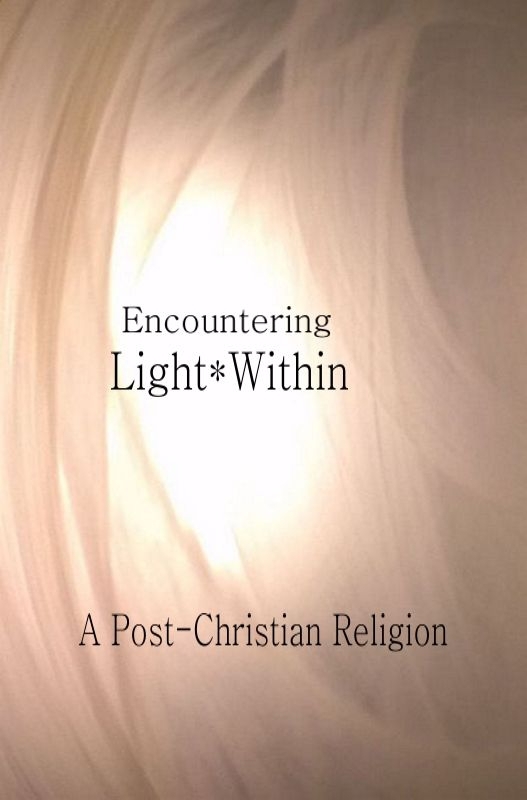 His early book "In The Light of Knowledge" is open propaganda promoting the early 1970s DIvine Light Mission version of the Perennial Philosophy. None of the memoires aakes Rawat and His Knowledge sound attractive even when they're trying to. Jos Lammers, ex-President Divine Light Mission, Holland and Director International Operations (Europe and Australia), International Headquarters, Divine Light Mission has written a short but interesting memoire, in Dutch and English that was available from Amazon in which he recounts his life as a university drop-out in 1970 taking too many drugs (he may disagree it was too many :-) and looking for the "meaning of life" who becomes a "premie" of Guru Maharaj Ji. He moves into the ashram where he discovers a talent for business and organisation that makes the Dutch DLM financially successful. So successful that he is called to Denver to join the international executive staff of DLM as Director International Operations (Europe and Australia). 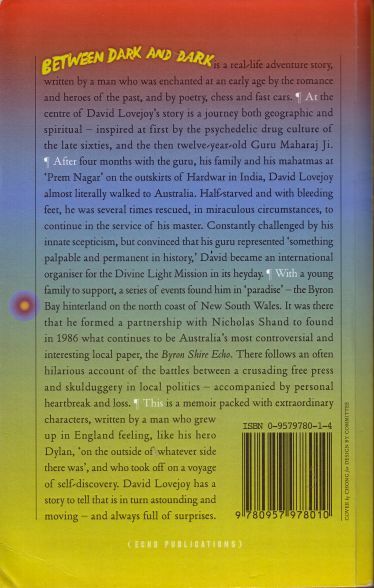 There is a summary of his DLM career here and two excerpts from his book, Abandoned-Roads, here and here. Finch has written a personal memoire of his 30 years of thralldom to Prem Rawat or Guru Maharaj Ji as he initially called himself. 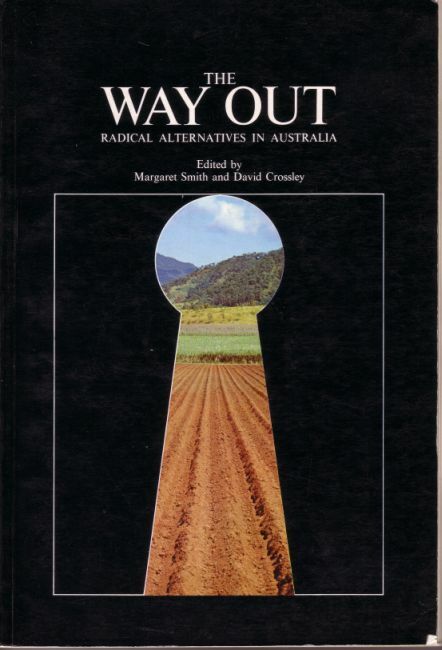 Many academics of New Religious Movements have disparaged apostate evidence about their former membership as "atrocity tales" in an attempt to destroy their credibility through pejorative labelling. It would be interesting to read their comments about Finch's book in which he has deliberately withheld the many "atrocity tales" he saw first-hand and attempts to maintain an air of imperturbable high-mindedness widely at odds with the behaviour of the guru he spent decades revering: Prem Rawat or Maharaji (the "Ultimate Ruler" as he prefers to be known), the former teenage Perfect Master and Lord of the Universe, Guru Maharaj Ji. 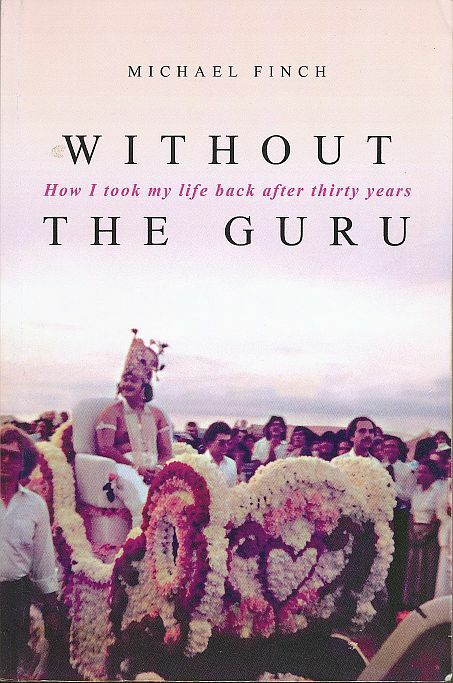 The book would appeal to a wider audience if the didactic sections were replaced by racy details of Rawat's vulgar venality but it is by far the best (and almost the only) book available about life in the Rawatism cult and it is truthful and accurate, though very personal. 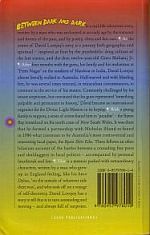 An extremely mistitled book that reveals Donald de Laski as one of those people who do not just let life happen but take it by the scruff of the neck and drag financial success out of it with continued hard work and business savvy. On the one hand he is the quintessential American entrepreneur and on the other he is a dreamer who accepts the claims of any and every healer, psychic, clairvoyant, alternative therapist, seer and prophet with whom he comes into contact. Sections of Chapter 13 in which he discusses the 10 years in which he was actively involved in Divine Light Mission and kissed the feet of the Living Lord and provided Rawat with a gift of shares eventually worth tens of millions of dollars are reproduced here. This is a really depressing book. It relates a very common theme. It is typical of many premies' lives. Unhappy childhood, aimless teens, LSD, "Be Here Now" and meeting someone already in a cult who appeared to have what was missing in her life - happiness. Ms Kitt describes her time as a premie in a premie milieu very well. She evokes the flavour of life in DLM. She appears very honest about her feelings. 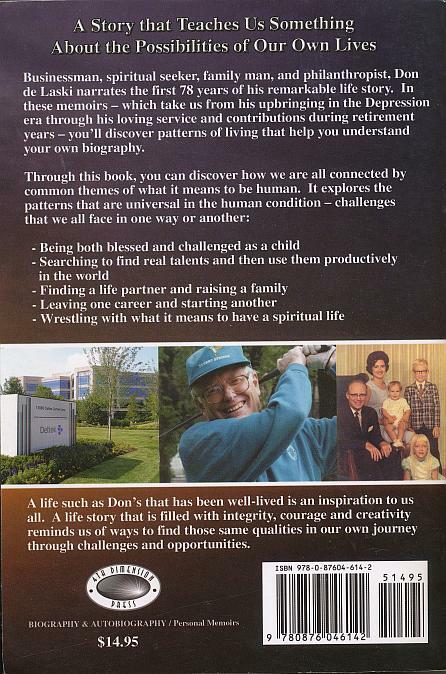 This book mainly deals with Foster's unhappy childhood, his hatred of his father, his inability to come to a positive acceptance of his homosexuality, his life as a struggling actor and gay prostitute and his "born again" Christianity and career as a Christian pastor, author and producer. Some sections dealing with his short time as a premie of Prem Rawat are included here. While much of it deals with his intense mental life and struggles with his childhood Christian brainwashing there is some information about life in late 1970's Divine Light Mission and a very premie story of how he had just exactly enough money left in his secret credit card to fly to meet Jesus in Israel instead of a Holi festival in Rome. It must have been Guru Maharaj Ji's grace. 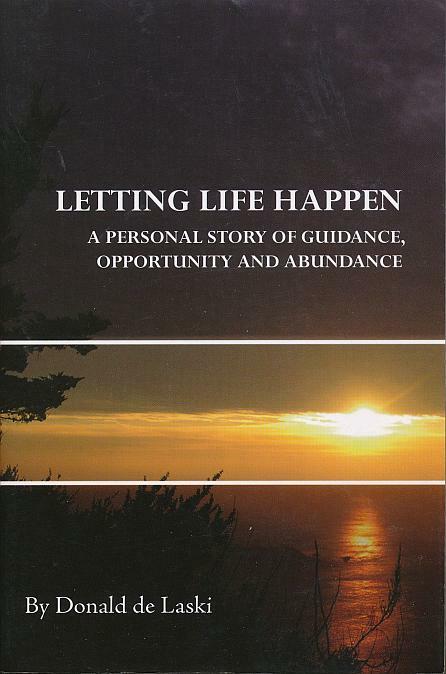 An insider's look at her 2½ years in Divine Light Mission in the early 1970's. She is interesting, intelligent, immature, foolish, pretentious and the book is as deeply flawed as the organisation was. It was written when she was only 20 years old and though her views of the Godboy are uninsightful the gossip gives a good picture of life in DLM administration in the early to mid-1970's. 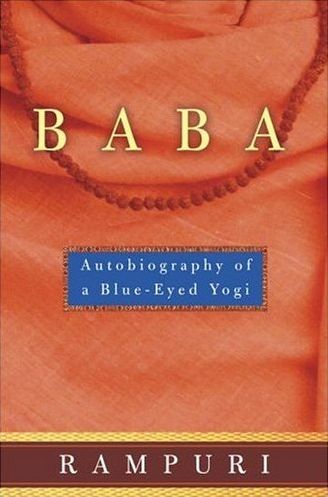 It provides a picture of the lives of the guru and some of those premies and their hopes, activities and hypocrisies. An introduction to her precocious childhood was published in the Divine Times Special Millenium Issue. "(As I discovered later, we were not the only ones for whom some alcohol was the festival's high point. 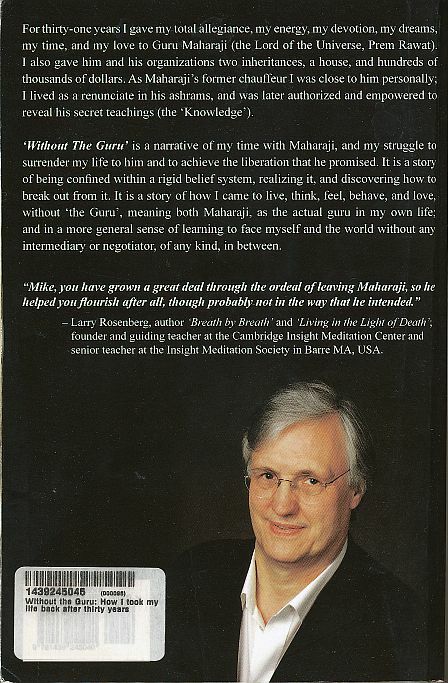 Bob Mishler told me Maharaj Ji got "sloshed. ");"
… I wondered why Maharaj Ji did not want the truth known. Already AP, the wire service, had carried parts of what he wished to suppress. … "If Maharaj Ji wanted to run a little religion based on his father's teachings and he was able to find people to join, so what? That was his business, not mine." 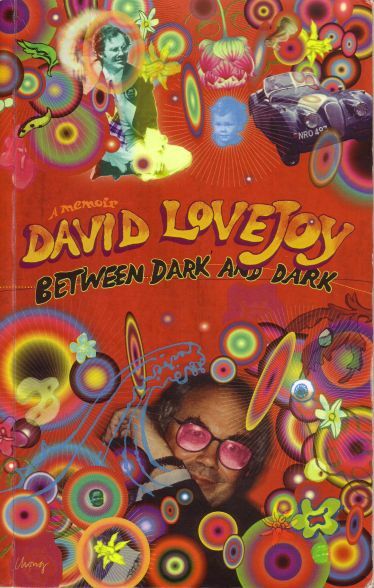 David Lovejoy, one time President of Divine Light Mission, Australia and Great Britain is a former editor of the Byron Bay Echo, a local newspaper published in the resort town of Byron Bay in New South Wales, Australia. 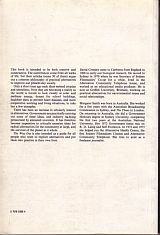 He has written a "memoire" about his life which most people would find extremely boring but is of interest to his friends, family and anyone wishing to read about the "hippies" who became followers of Prem Rawat in India circa 1971 and the Divine Light Mission in Australia in the 1970's. "Maharaji is an incomparable public speaker and a wise strategist, and if he chose to hone everything down to the delivery of the techniques of meditation in a respectable, non-religious and noncontroversial way, then he did so in order to maximise people's opportunities for receiving Knowledge." But since Rawat has "honed everything down" the numbers of his students has halved despite 25 years of expensive attempts at gaining new adherents and many of those who consider themselves followers live lives in which Rawat is a very peripheral figure, as has Lovejoy. Of course, Rawat is, in a sense, an incomparable public speaker, there is no-one else anywhere near as awful a public speaker with whom to compare him. 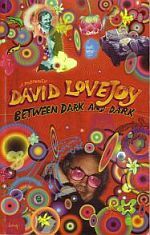 A black girl from the Projects goes to Vassar and finds it emotionally very challenging and is drawn into Divine Light Mission by the niceness of some premies until Millenium '73 brings her down to earth with a bang. An intellectual's life attempting to experience the promise of mysticism thorugh reading about and practising various religions and spiritual paths. Included here is a section dealing with his life in a a Divine Light Mission ashram and his wholly admirable rejection of Prem Rawat's so-called "Knowledge" when he found out about the attempted murder of Pat Halley and the machinations and cover-up that followed. Will Ganz aka Sitaram who now calls himself Rampuri is a legend in his own chillum. The author of 'Baba' and a star of the Ethnobotanical (drugs) "spiritual scene" he has spent decades in India sucking at the sadhu's source of spurious stoned saintliness. He left his early spiritual career in Divine Light Mission with a bhang and doesn't mention those days in his biography. Exactly why he was involved is lost in a hazy mist of marijuana and paranoia but there is no doubt he had a strong initial impact in helping the young Rawat go to the USA and to provide him with an audience once he got there though he did his best to sabotage the movement once he realised Rawat's vision did not include him and any intellectual grooviness in the 'inner circle'. There are copies of two emails he sent in 2002 in which he claims full credit for getting Divine Light Mission off the ground in the USA, calls everyone else involved stupid, ignorant and low-caste - yes 'low-caste'. He discussses early Divine Light mission and his role within it here and makes intelligent criticisms of Indian Rawatism here. The editors were followers of Prem Rawat at the time (though no longer) and so some thinly disguised attempts at recruitment were included. 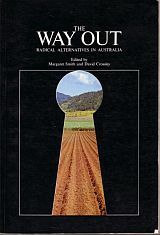 Penny, who became disenchanted with Prem Rawat in the 1980's, wrote this early biography as a "coming to the truth" through attempts at communal living" story. She was a particularly sweet, loveable and intelligent person who now works in environmental science doing some real good. 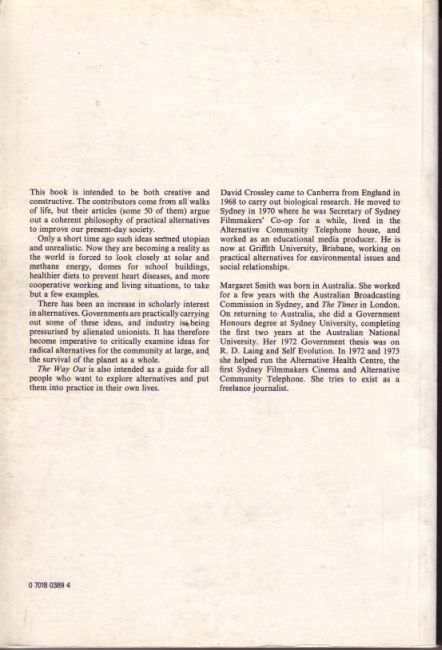 THE DIVINE LIGHT MISSION IN AUSTRALIA by Derek Harper & Michael McDonald was a very positive, unrealistic picture of the Divine Light Mission of the early 1970's. Whittaker has been a devotee Prem Rawat for 40 odd years and what odd years they have been. 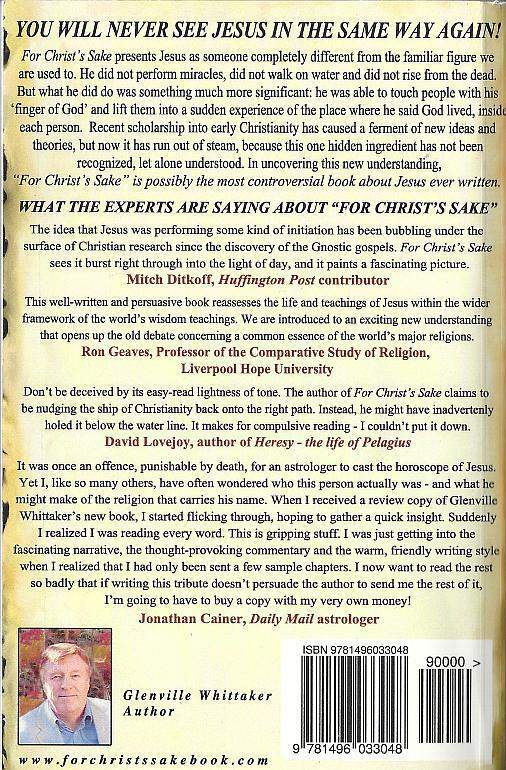 In this book he attempts to promote an idealised image of his Master's teachings and practices with the outrageous concept that Jesus was exactly such a Master. He does this by giving a shallow, and I mean really shallow, rehash of some of modern scholarship about the life of Jesus interspersed with snippets of Rawatism doctrines but as far as I recall he does not demonstrate one actual connection, merely many tenuous possibilities that Glen ensures "we must" accept. Of course Rawat is never mentioned nor is the fact that all the positive blurbs about the book are by other devotees of the former "Lord of the Universe." 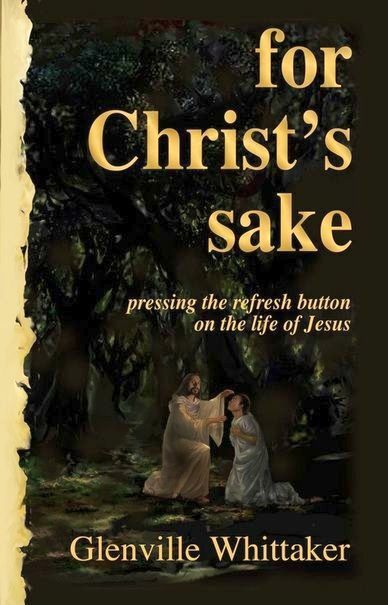 This is a grossly dishonest book which pretends to be discovering secret truths about Jesus' teachings but is merely attempting to insinuate that Prem Rawat's teachings were taught by Jesus. Whittaker claims the essence of Jesus' initiation was that to be fully effective, it required devotion to the messenger. Yes for Prem Rawat's teachings to be effective then you must adore and worship him first. I'd recommend virtually any other book about Jesus before this one. A difficult book to label. 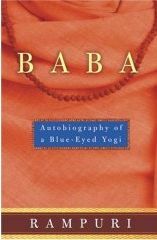 This book was inspired by Prem Rawat's eldest brother, Bal Bhagwan Ji, before he disowned and replaced Guru Maharaj Ji as Spiritual Leader of the Indian Divine Light Mission. Finch who took another 30 years to renounce Rawat wrote the book but once finished it was destroyed as it was associated with the apostate eldest brother now known as Satpal Maharaj. A copy survived the book burning and was found in Germany 30 or 40 years later and I nagged Mike to allow it to be published on the net as an historical artifact.